Tourvest Destination Management is a reputable, reliable and trusted Global Travel management company with over 32 years’ experience in the travel and tourism industry and dedicated to creating and delivering world class travel experiences with a distinctly African Soul. 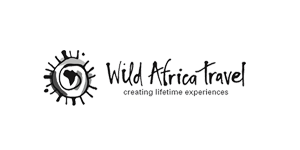 The largest destination management company for foreign tourists into Africa with an established footprint in South Africa, Uganda, Kenya, Tanzania, Namibia and Botswana. With a diverse, comprehensive and growing portfolio of unique products, TDM offers holidaymakers, tourists, day-trippers and travellers alike the opportunity to experience Africa any which way they want. These services are primarily distributed through overseas tour operators. Tourvest Destination Management inbound are respected as innovative and leaders in the inbound market place. Tourvest Destination Management’s Connect B2B technology solutions provide tour operators direct competitive rates that allow them to compete in the online market space. 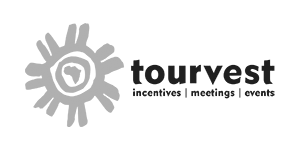 Tourvest DMC came about through the merger of Welcome Tourism Services, Your Africa, Focus Tours, and SST, and is a leading destination management company in Southern Africa. It has a rich history and a growing global footprint, servicing source markets such as the United States, South America, Australia, Germany, Italy, the Netherlands, Switzerland, Austria, and Belgium. Tourvest DMC specialises in inbound travel with professional services and consultation in the FIT and group leisure travel segments. Sense of Africa has earned its reputation as a leading destination managements company with feet in Namibia, Botswana, Kenya, Uganda and Tanzania. 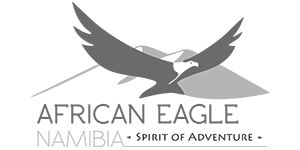 Sense of Africa specialises in travel products such as scheduled tours, tailor-made private guided tours, self-drive touring, FIT and group leisure travel. GoVacation Africa is a full service destination management company in South Africa, Namibia, Tanzania, Kenya, and Zanzibar. GoVacation Africa specialises in inbound travel with professional services and consultation in the FIT and group leisure travel segments. 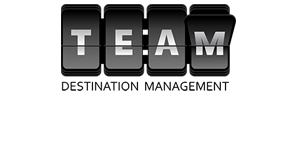 TEAM DM is a provider of destination management services around large global sporting events within FIFA, IOC, UEFA and IRB environments. 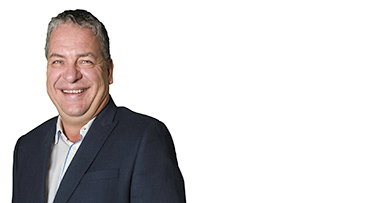 Track record includes FIFA World Cups, Rugby World Cups and winter and Summer Olympic Games. Core competencies lie in accommodation, transport, logistics, staffing, event and venue management, touring and consulting services. Global offices are located in the United Kingdom, Russia and Japan. 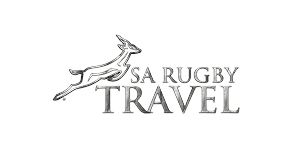 South African Rugby Travel is the official partner to South African Rugby. School sports, as well as cultural and educational travel are managed for both inbound and outbound customers with supporter tours also forming a key part of the business. 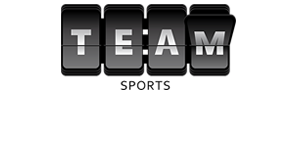 TEAM Sports Travel acts as a destination management company for both inbound and outbound school sports tours, cultural tours and educational expeditions. Sports supporter tours are handled for football, F1 Grand Prix, rugby, cycling, tennis and golf. The main customer segments serviced by TEAM Sports Travel include schools and universities, corporate incentives, inbound sports groups and events. Puresport specialises in spectator sporting events, providing packages with flights, accommodation, event tickets, transport, and all other travel logistics – examples include most Formula One races, international football games, international and local rugby games, tennis, cricket, as well as cycling, golf, and Moto Grand Prix’s. Puresport was the Official Travel Agent for Cricket World Cup U.K (1999), Rugby World Cup U.K. (1999), Iron Man Africa Triathlon (1999), Johnnie Walker Classic Perth, Australia (2001), World Blind Bowls (2005), Cricket World Cup West Indies (2007), Rugby World Cup Australia (2003), Rugby World Cup France (2007), as well as being involved with Cricket World Cup 2003 hosted in South Africa, and the Rugby World Cup New Zealand (2011). Pureskiing specialises in adventure and family travel, with a core focus on winter sports– skiing, snowboarding, cross country skiing etc. Focus on inbound, outbound and domestic opportunities for corporate group travel, incentives, conferences, and event segments. There is no limit to the type of event that can be managed from a gathering of 8 to 4000 delegate conference, board or leadership meetings, corporate training, seminars, product launches, team building and car launches. An accredited professional conference organiser (PCO) providing international congress management services for associations and government. The incentive team has the skill and capacity to manage all inbound and outbound operational incentive travel including movement logistics, accommodation and destination management. With a combination of originality and authenticity. Tourvest Destination Management Scheduled Tours offer a unique portfolio of tours developed around good quality product, superior service and value for money. Available on private basis with a qualified tour guide or as a self-drive tour, offering the attention or flexibility that is required by our customers. Tourvest Destination Management Beds is a risk consolidator offering guaranteed pre-purchased accommodation all year-round at competitive rates in major tourist destinations in Southern Africa. With a consolidated vehicle procurement strategy and stringent quality control measures, TDM Transfers and Charters offers customers best value for money, highest safety standards and a wide range of quality vehicles including a comprehensive fleet of mini-vans, luxury and economy sedans as well as touring vehicles. Tourvest Destination Management Meet and Greet Services are available offering personalised check-ins, lost luggage assistance and VAT claims on departure. Proficient in a variety of languages, the team ensures a smooth and painless travel experience.